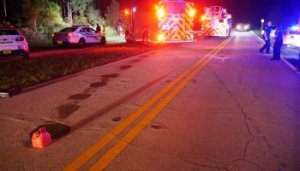 Two Dead, One Injured After 3-Vehicle Crash In Palm Beach County | Schuler, Halvorson, Weisser, Zoeller & Overbeck P.A. The Palm Beach County Sheriff’s Office said, a husband and wife were killed in a 3-vehicle car crash at the intersection of Atlantic Avenue and Hagen Ranch Road. Andre DaSilva Brito, 41, and Vivian Brito, 39 were in a Mazda and turned east on Atlantic from Hagen Ranch Road when a Honda Pilot, driven by a 66-year-old man of Royal Palm Beach, collided with them, according to the Palm Beach County Sheriff’s Office . The impact pushed them across the intersection and into the eastbound lanes of Atlantic where the 66-year old driver then struck an Infiniti, driven by 53-year-old Barbara Cipriano. Palm Beach County Fire Rescue had later responded to the scene. The Britos, of suburban Lake Worth, were pronounced dead at the scene. The 66-year old driver of Royal Palm Beach, was hospitalized with serious injuries. Cipriano, who lives in suburban Delray Beach, was not injured. The sheriff’s office said, all eastbound and westbound lanes were closed in the area for multiple hours. By midday, traffic was getting back to normal. The sheriff’s office asks anyone who witnessed the crash to contact the Florida Highway Patrol officials.